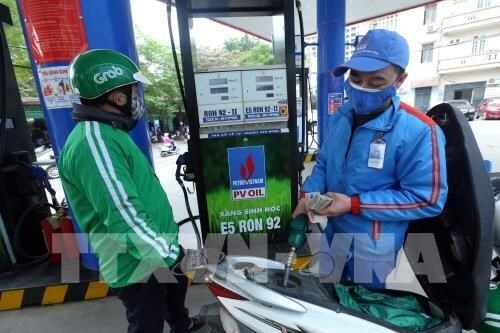 Hanoi (VNA) – The Finance Ministry said it has devised three scenarios for the domestic consumer price index (CPI) in 2019 based on different levels of increase in world petrol prices. At a press conference on April 5, Dang Cong Khoi, deputy director of the Price Management Department under the Finance Ministry, said in the context of unstable world petrol prices on an upward trend, this will be an important factor to domestic prices. Therefore, it is necessary to base price management on world petrol prices in order to achieve the goal of maintaining CPI growth at under 4 percent. According to Khoi, in the case the world petrol prices rise by an average 5 percent, the national CPI in 2019 is projected to increase by 3.4 percent on a yearly basis. With a 10 percent rise in world petrol prices, the CPI would rise by around 3.7 percent under the second scenario. In the third scenario based on a 15 percent hike in world petrol prices, the CPI would go up by an estimate 3.8 – 3.9 percent. The official said the ministry will develop detailed scenarios for each case. Also at the press conference, the Finance Ministry announced that the country inked one agreement on foreign loans worth 188.3 million USD.